I offer a wide range of graphic design services, from beautiful business stationery to perfect poster designs. If you need anything designed for print or the web then I can probably design it for you. I offer a full in-house design service from identity design to marketing materials and websites, removing the need to co-ordinate with multiple service suppliers. I can even arrange your printing. 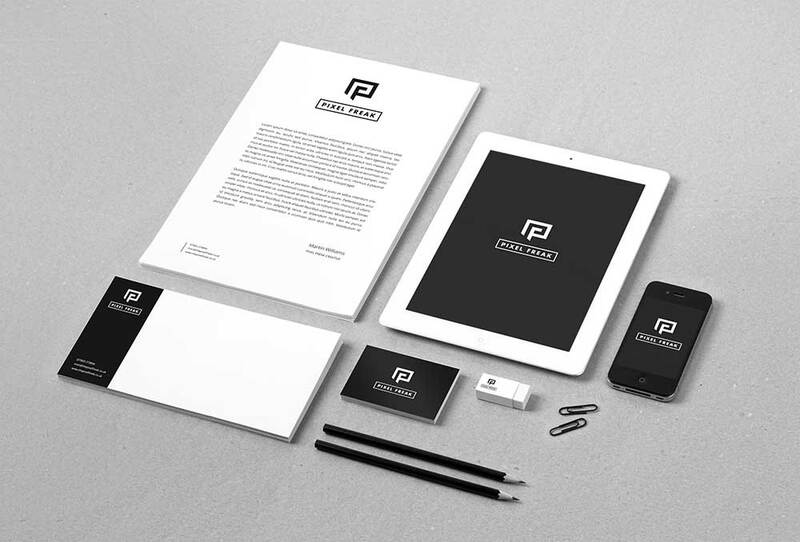 Beautiful business cards and business stationery designed to strengthen your brand identity. You have to have the right business stationery, right? Especially business cards, they are representative of you and your whole business. Often handing over a business card is the first thing anyone will do when meeting a new customer or prospective client. You only get one chance to make that first impression, and we all know that first impressions count. Prospective customers can take home a brochure and browse it at their leisure whilst not having to sit and stare at a computer screen. This is still popular with many consumers. Once a brochure has been left with a prospective client or taken home by a customer it will often sit on a desk or table for a while even after reading it. This keeps your business or products at the forefront of the consumers mind. Whereas with a website your company is usually out of mind the moment they close their web browser. 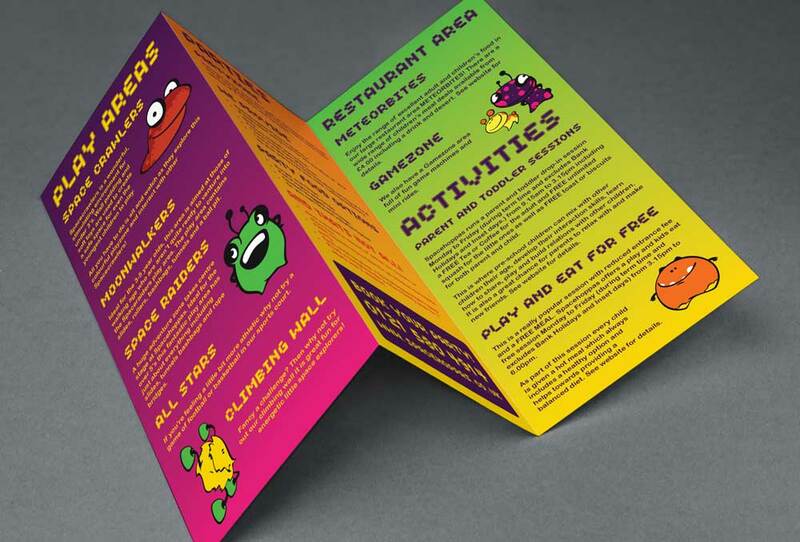 Unique, innovative and eye-catching leaflet design, perfect for promoting your business. I use intelligent design to specifically target and appeal to your target audience. Whether you are hosting an event, promoting a product, service or business, I can help by advising how we can use a combination of creative design and incorporating other marketing tools like ‘call to action’ offers to get your leaflets working harder for your business. Flyers are perfect for promoting bars, clubs, restaurants, events and many other types of business. Perfect for handing out in the street or sending by direct mail. 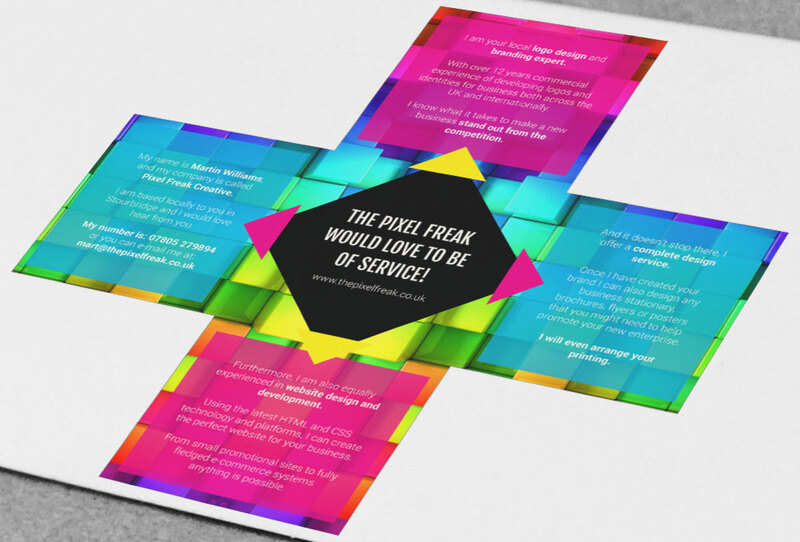 Flyers can be designed as unique custom cut-outs which are shaped to really stand out from the crowd. Running a press advertisement in a newspaper or magazine is tried and tested marketing strategy that has worked successfully for many business sectors for decades. However a frequent problem is that people wrongly assume that if they pay for an advert it will ‘just work’. Often very little thought is put into the design of the actual advert and consequently adverts do not perform as optimally as they could. 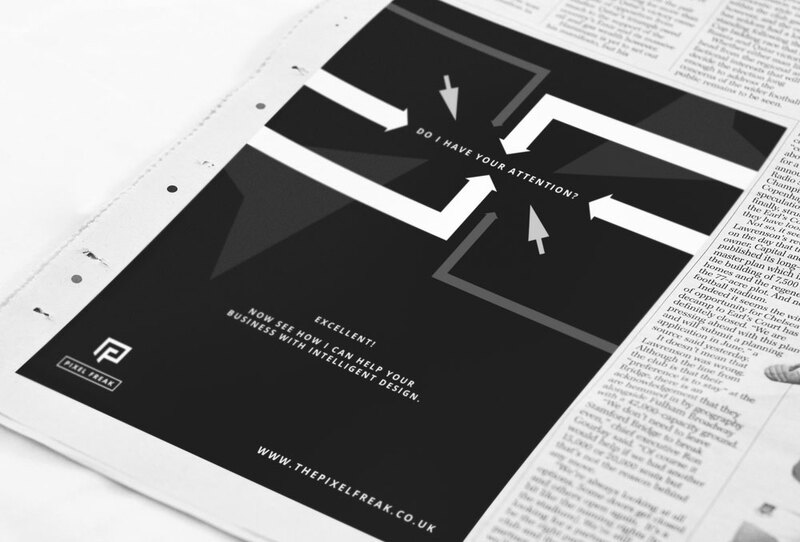 I have gained many insights from years of experience designing newspaper and magazine adverts which I can put to work for you. Posters are great for shouting about special events and to promote short-term offers. They work well when placed in shop fronts and on bulletin boards. I have years of experience designing posters for a variety of events, tribute acts and other promotions. 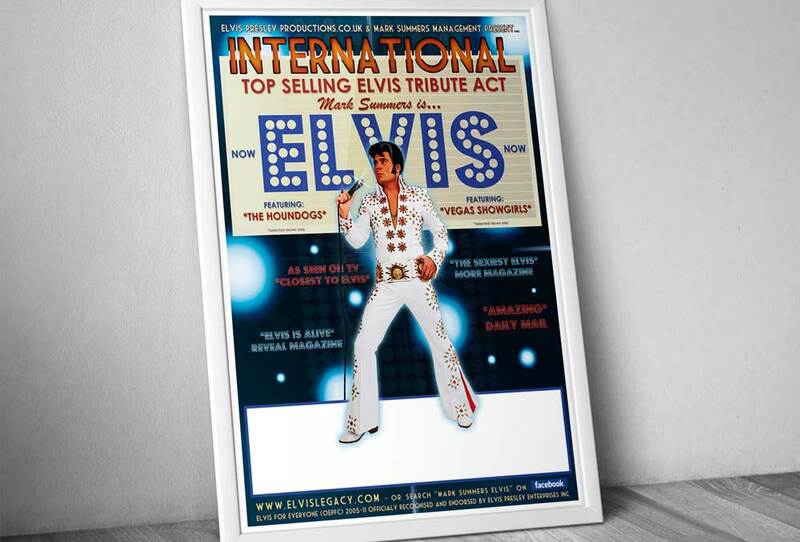 I know can create an striking, original and polished poster design that will engage your target audience. Every graphic design project is different depending on which service your require and the details of your brief. Each project is quoted individually as required, however to give you a rough indication, my hourly rate for graphic design work is £35.00 per hour. For a free no obligation quote please hit the button below. I have used Pixel Freak Creative now for all my design projects in all of my associated businesses. The reason being, that the standard of work carried out is truly second to none and completed/returned with speedy results. Truly a ‘must’ for any business or individual looking for quality, detailed and original work at a reasonable price. I was smiling when I saw the finished poster and I would instantly go to Martin if we needed anything else doing in the future, even just for advice, he seems to know exactly what is the best approach that would work for a client. I was so impressed with Martin’s work that I asked him to design some business cards and again, he produced a top quality product. 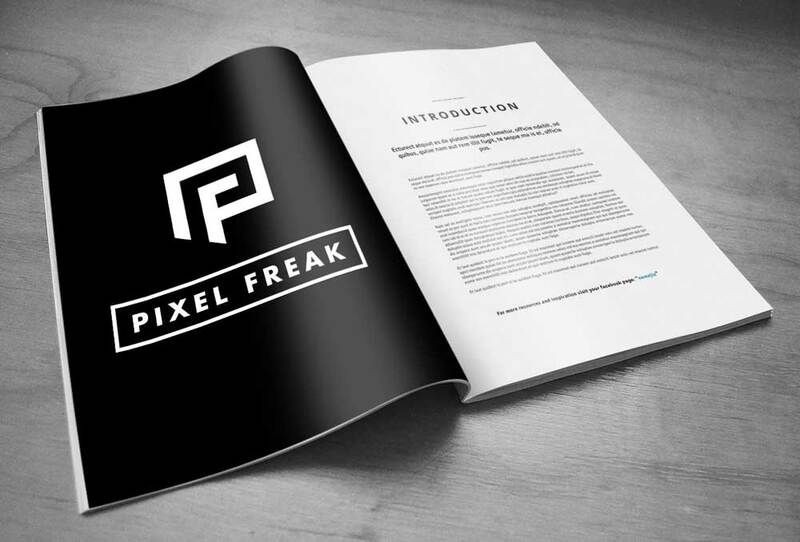 Pixel Freak Creative is easily our first choice for all our creative needs. It always makes it a lot easier when the person you are working with understands what you want and what is the best approach, nothing was to much trouble for Martin and even when I was explaining what I would like to see on our poster he instantly seemed to know what I was looking for and I am very pleased with the work he has done. How soon can you start work on my project? This will depend on my current workload which changes constantly throughout the year. I can sometimes start on a project within 5 working days, but occasionally if you catch me at the right time I can start sooner. The best thing to do is drop me a quick enquiry and I will let you know when I can start, I usually reply within 24 hours if you contact me Monday to Friday between 9am – 5pm. Please note I do not work weekends or bank holidays. Yes absolutely, I do not undertake printing in-house but I have established relationships with several great printers who I have worked with for many years. I will happily obtain a quote for you and oversee the arrangements. I always estimate time scales in my quotes, I cannot give an indication here as every project is different depending on your exact requirements. Please get in touch with a brief outline of your requirements and I will happily give you a quick ballpark estimation of time and cost.